A military drawdown in Syria and Afghanistan is good for America’s enemies – and contractors. 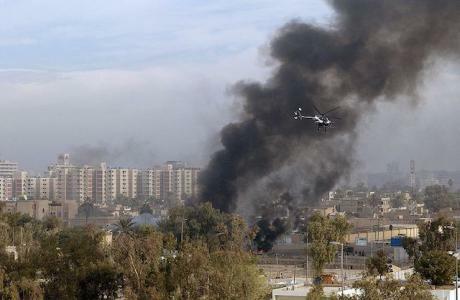 Blackwater military helicopter in Baghdad Operation Iraqi Freedom, 2004. Wikicommons/U.S. Air Force Photo by Master Sgt. Michael E. Best. Some rights reserved. At the end of 2003 the United States-led war in Iraq was going badly wrong. It had started so well from the Pentagon’s perspective, as American troops entered Baghdad within weeks of launching the invasion in late March. The regime crumbled and a statue of Saddam Hussein was toppled. The sitting president George W Bush soon delivered a triumphal speech in front of a banner declaring “mission accomplished”. Even then it looked premature. At that point, the quick victory Washington expected was already running into quicksands. This entry was posted in Corruption, Economics, Government, Human Rights, International Agreements, Kurds and Kurdistan, Military, Religion, Terrorism, Uncategorized, War, War Crimes and tagged Afghanistan, Atrocities, Blackwater, Corruption, Donald Trump, Economics, George W. Bush, Human rights, Iraq, Islamic State, Israel, Mercenaries, religion, Syria, Taliban, terrorism, Tony Blair, War, War Crimes on January 6, 2019 by MNgranny. The Trump administration is set to rapidly withdraw U.S. military forces from northeastern Syria, where the U.S. has occupied around 30 percent of Syrian territory since mid-2016. 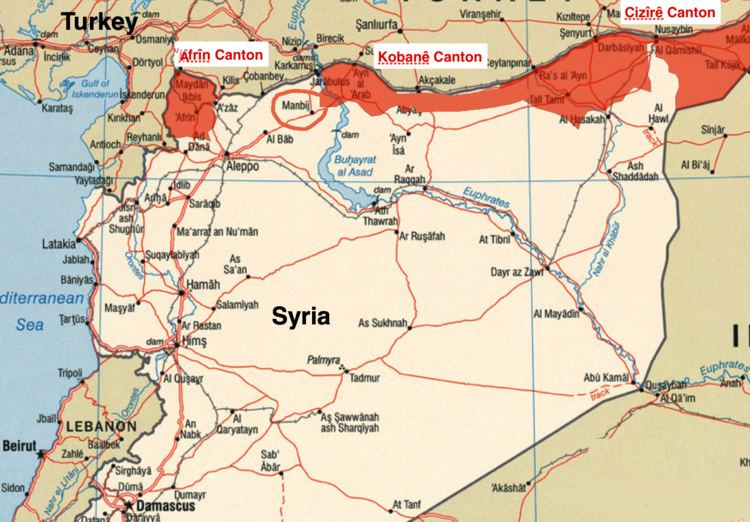 Editors’ note: The US has allied with the Kurds in 7 previous missions. This latest mistake by Trump will be number 8 in a long history of betrayal. The following announcement, made by Nancy Pelosi, is the tip of the iceberg of the catastrophic disaster that will unfold. ISIS has NOT been defeated. In what is being characterized by some as a “drastic reversal,” reports in both the Wall Street Journal and the Washington Post have claimed that the Trump administration is set to rapidly withdraw U.S. military forces from northeastern Syria, where the U.S. has occupied around 30 percent of Syrian territory since mid-2016. The Pentagon has officially stated that there are 2,000 troops in Syria, though the true figure is believed to be closer to 5,000. This entry was posted in Civil Rights, Corruption, Government, Human Rights, International Agreements, Kurds and Kurdistan, Military, Religion, War, War Crimes and tagged Afrin, Atrocities, Civil Rights, Donald Trump, Erdogan, Human rights, International Agreements, Iran, Islamic State, Israel, James Mattis, John Bolton, Kurdish people, Manbij, Military, Oil, PKK, religion, Russia, SDF, Syria, Turkey, War, War Crimes on December 20, 2018 by MNgranny. Around midnight on Friday, U.S.-led coalition warplanes in Syria conducted intensive airstrikes near Abu Kamal in the Deir ez-Zor province, with estimates of civilian casualties ranging from 30 to 54. Syrian state media agency SANA has claimed that at least 30 were killed and that most of the dead were women and children. 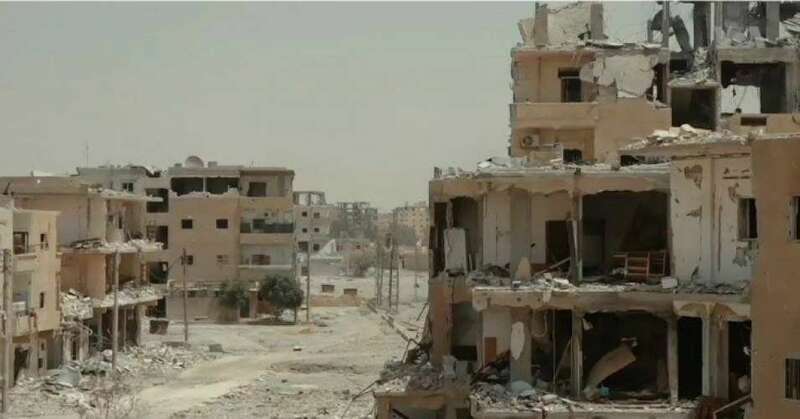 The Syrian Observatory for Human Rights (SOHR), often cited by international and particularly Western media, has asserted that 54 were killed. This entry was posted in Civil Rights, Government, Human Rights, International Agreements, Kurds and Kurdistan, Military, Religion, Terrorism, War and tagged Abu Kamal, al-Tanf, Atrocities, Civil Rights, Daesh, Deir Ez-Zor Military Council, Human rights, International Agreements, Iraq, Israel, Jordan, Kurdish people, Military, Qasad, religion, Syria, Syrian Democratic Forces, Syrian Observatory for Human Rights, terrorism, US military aid, War, YPG on July 15, 2018 by MNgranny. On Saturday, the Defense Post reported that the U.S.-led coalition in Syria was building a 30,000-member “border force,” made up predominantly of Kurdish and Arab Syrian Democratic Forces (SDF), as well as some unspecified new recruits. This entry was posted in Corruption, Government, Human Rights, International Agreements, Kurds and Kurdistan, Media Issues, Military, Racism, Religion, Social Justice, Terrorism, War and tagged Afrin, Aleppo, Atrocities, BSF, Corruption, Erdogan, Human rights, International Agreements, Iran, ISIS, Kurds, Racism, religion, Russia, SDF, social justice, Syria, terrorism, Turkey, War on January 22, 2018 by MNgranny. Written by Jake Johnson, staff writer for CommonDreams. Published 11-17-2017. 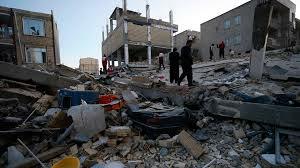 A devastating 7.3 earthquake struck the Iran/Irag region, killing over 500 and leaving 9,000 injured. Image via Facebook. Under the current sanctions regime, Iranian-Americans living in the U.S. are prohibited from delivering funds to their friends and family members. As Al Jazeera reported on Thursday, several attempts by Iranian-Americans to set up fundraisers for Iran in the days following the earthquake have been stymied by U.S. Treasury Department rules. 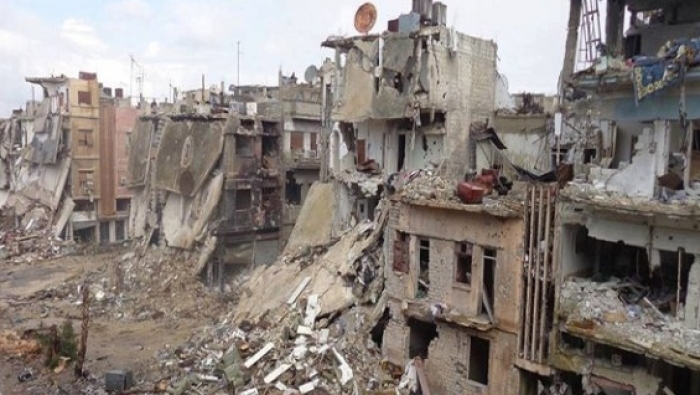 In addition to killing hundreds and injuring over 9,000, a report from European Civil Protection and Humanitarian Aid Operations found that the tremor damaged 12,000 buildings in Iran and Iraq. We write today concerning the recent earthquake that struck Iran on November 12. The latest reports indicate over 500 dead and thousands wounded, making this earthquake the world’s deadliest of the year. We urge you temporarily waive any existing restrictions that would impede relief donations in order to speed the delivery of aid. While the earthquake affected both Iran and Iraq, most of the casualties are on the Iranian side of the border. After earthquakes in 2003 and 2012, the United States demonstrated its compassion and goodwill by offering assistance to the Iranian people and allowing private relief donations. The administrations of George W. Bush and Barack Obama both temporarily waived sanctions, and the Department of the Treasury’s Office of Foreign Assets Control (OFAC) issued general licenses to simplify aid delivery. Under the Bush administration, an OFAC license authorized U.S. persons to provide cash donations to nongovernmental organizations, U.S. and non-U.S., assisting with relief efforts in Iran. At the time, OFAC also worked with aid organizations to clarify rules on donations of food and medicine and which Iranian entities could receive aid and eased banking constraints to ensure the timely receipt of donations in Iran. While we understand that a general license issued by OFAC in 2013 allows for U.S. nongovernment organization to deliver aid to Iran, we urge you make it easier for U.S. citizens to contribute to nongovernment organizations not based in the United States that are currently providing relief aid to earthquake victims in Iran. Despite decades of animosity and no formal diplomatic relations, the United States has routinely offered to help the Iranian people in times of need. This time should be no different. We ask that you direct the Department of State to assist in aid efforts and to coordinate such efforts with OFAC and other relevant agencies in order to ensure aid arrives quickly. This entry was posted in Economics, Government, Health Care, Homeless, Housing, Human Rights, Immigration, International Agreements, Kurds and Kurdistan, Refugee Issues, Religion, Social Justice and tagged Atrocities, Bernie Sanders, Donald Trump, Economics, Health Care, Human rights, immigration, International Agreements, Iran, Iraq, Kurdish people, Kurdistan, Muslim ban, refugees, religion, social justice on November 18, 2017 by MNgranny. Of the 72 percent of registered voters who turned up at the polls, a little more than 93 percent opted to separate their homeland from Iraq. Independence, however, is fraught with the dangers of disputed borders, ferocious opposition from its neighbors and internal dissent. This entry was posted in Civil Rights, Demonstrations & Protests, Elections, Government, Human Rights, International Agreements, Kurds and Kurdistan, Solidarity and tagged Democracy, Elections, Human rights, Iran, Iraq, KRG, Kurdish people, Kurdistan, Syria, Turkey on October 8, 2017 by MNgranny. Every flower that sprouts in the mountains had to first break through a rock. 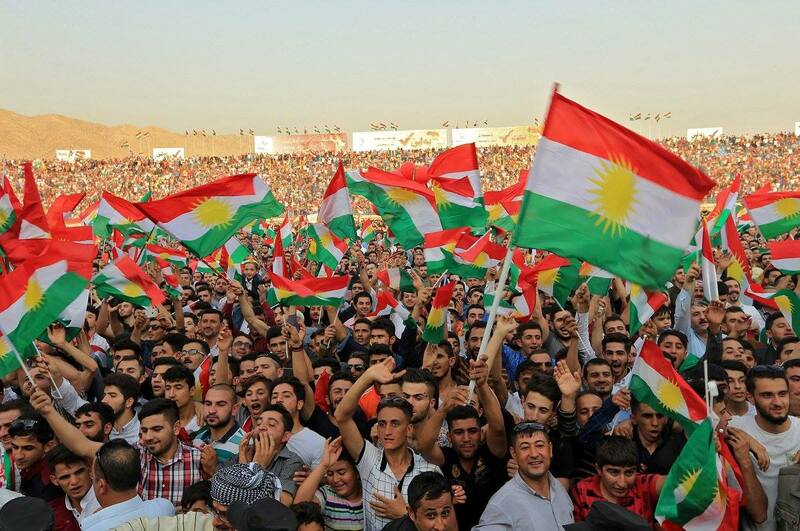 In a few days on September 25th the autonomous Kurdish Regional Government (KRG) of Southern Kurdistan / Bashur (i.e. northern “Iraq”) is set to hold a non-binding aspirational referendum on their region’s independence. For many of the 6+ million Kurds of Bashur it is undoubtedly a day they have dreamt of or longed for; perhaps even a chance which seemed all but a fantasy through the billowing smoke of chemical bombs in Hełebce, or Saddam’s mass graves of the 1980’s. This entry was posted in Civil Rights, Corruption, Elections, Government, Human Rights, Human Spirit, International Agreements, Kurds and Kurdistan, Social Justice, Solidarity, Voting and tagged Civil Rights, Corruption, Democracy, Donald Trump, Elections, Equality, France, Gorran, Haider al-Abadi, Human rights, International Agreements, Iran, Iraq, Israel, KDP, KRG, Kurdish people, Kurdistan, PUK, Russia, Saddam Hussein, social justice, Solidarity, Syria, Turkey, Voting on September 24, 2017 by MNgranny. As President Donald Trump expands the war in Afghanistan, which Secretary of State Rex Tillerson said Tuesday is partly inspired by “successful” tactics used in the war against the Islamic State (ISIS), Reuters reports that in the past week alone, more than 170 civilians were killed by U.S.-led airstrikes in Raqqa, a Syrian city ISIS considers its capitol. This entry was posted in Corruption, Government, Human Rights, International Agreements, Kurds and Kurdistan, Military, Religion, Social Justice, Terrorism, War Crimes and tagged Afghanistan, Atrocities, Corruption, Daesh, Donald Trump, Human rights, International Agreements, Iraq, ISIS, Islamic State, Kurdish people, Kurds, Raqqa, religion, Rex Tillerson, social justice, Syria Democratic Forces, terrorism, War Crimes on August 23, 2017 by ew. Marking three years since the Islamic State of Iraq and the Levant (ISIL/Da’esh) attacked the Yazidis in Syria, a United Nations-mandated inquiry has called for justice and rescue plans. This entry was posted in Civil Rights, Human Rights, Kurds and Kurdistan, Religion, Social Justice, Solidarity, Terrorism and tagged Atrocities, Civil Rights, Human rights, Independent International Commission, International Agreements, ISIL, Kurdish people, Kurds, religion, Sinjar, social justice, Solidarity, Syria, terrorism, UN Human Rights Council, United Nations, Yazidi on August 4, 2017 by MNgranny. Trump has investments and business dealings in Turkey, where his son enjoys hunting with rich businessmen. How Trump deals with Turkey in relation to ISIS could be in direct conflict with these business interests. Which one will Trump prioritize? On Monday night, news broke that the Trump Administration revealed information to the Russian officials during their visit to the White House last week. This could not come at a worse time – right on the heels of the Comey firing and on the eve before another foreign power visits the White House. On Tuesday. Turkish President Recep Tayyip Erdogan visits US President Donald Trump at the White House. While many Americans who rely only on US news don’t see this as alarming, the international community, unafraid of hard hitting headlines, realizes that Turkey and Erdogan have been cooperating with ISIS in Syria since at least 2014 and the attack on the Kurdish city of Kobane. The US has taken the stand that we do not negotiate with terrorists. Yet, Erdogan is invited to Washington to attempt to persuade our President to turn on the only reliable fighting force on earth capable of defeating ISIS on the ground. Last week it was announced that the US will arm the Syrian YPG/YPJ forces in the battle to take Raqqa, the ISIS stronghold and capitol in Syria. Trump will place the security of the US at risk if he backs down from his commitment to arm the Kurds. He will reveal that he himself in indirectly working with ISIS by cooperating with Turkey’s government to assist in the defeat of the Syrian Kurds, which is Erdogan’s objective in Syria. If you or someone you know are in or near the Washington DC tomorrow, you can add your voice to a protest taking place at Lafayette Square. Details below. Protest Against The Erdogan Dictatorship. 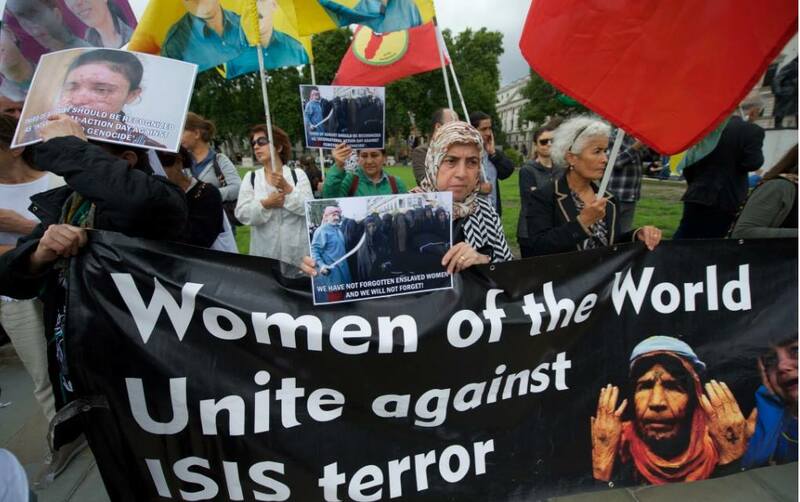 Join supporters of human rights, religious liberty, and regional peace at a rally outside the White House (in Lafayette Park) during President Trump’s May 16th meeting with Turkish President Erdogan. The protest will take place from noon to 2 pm. There’s also a Facebook event page. Carol Benedict is an indépendant researcher and human rights activist. She is also an independent Journalist and a professional member of the US Press Association. This entry was posted in Civil Rights, Corruption, Demonstrations & Protests, Government, Human Rights, International Agreements, Kurds and Kurdistan, National Security vs Police State, Religion, Social Justice, Terrorism, War Crimes and tagged Atrocities, Civil Rights, Corruption, Donald Trump, Erdogan, Human rights, International Agreements, Kurdish people, Kurdistan, Protests, religion, social justice, Syria, Syrian Kurds, terrorism, Turkey, War Crimes, YPG, YPJ on May 16, 2017 by MNgranny.